That handsome corporate tax cut U.S. businesses won last December is suddenly looking a lot smaller. The latest tariff list released by U.S. Trade Representative Robert Lighthizer on Tuesday threatens to add a 10 percent duty on about $200 billion of imports from China, on top of the 25 percent charge on $50 billion of goods that’s already been enumerated. Should all the levies be enacted, the $32.5 billion-odd impost would amount to about one quarter of the $124 billion reduction in corporate tax payments in the fiscal year through September. On paper, that pain might be shared with U.S. consumers, who account for the majority of the country’s imports from China. 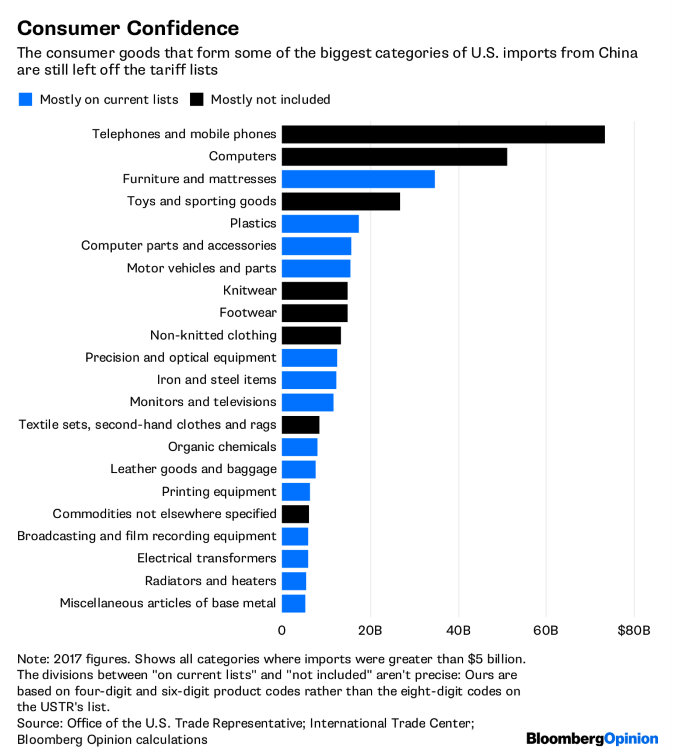 But an initial look at the 6,031 categories of goods included in Lighthizer’s latest salvo indicates that businesses will be expected to shoulder the bulk of the burden. Almost every type of good regularly bought by U.S. consumers is excluded from the action, notably mobile phones and computers – the largest categories of imports from China – along with toys, clothing and footwear. That should have the effect of insulating individuals from the price increases being imposed on the U.S. economy as a whole, making the gambit more palatable to voters. It’s notable that less frequently purchased durable goods where consumers will have hazier notions of price – such as flat-screen televisions and furnishings – are on the list after being left off previous schedules. Still, the cost of the strategy will be borne most of all by businesses. The greater portion of the tariffs is likely to fall on car parts, industrial machinery, plastics and precision equipment. 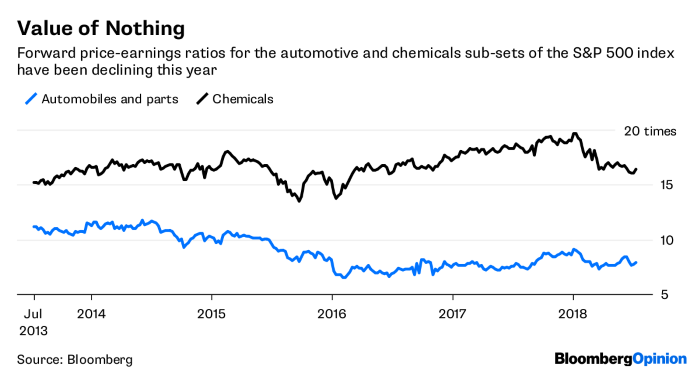 That’s could bring further pain for automotive and chemicals companies, already selling off in recent weeks. Harley-Davidson Inc. and BMW AG recently announced plans to boost production at factories outside the U.S. to reduce dependence on tariff-hit American imports, while General Motors Co. has warned the trade action could shrink the company and the U.S. automotive workforce. DowDuPont Inc., too, has said it’s looking at building plants in Canada or Argentina rather than the U.S. Gulf coast as a result of the moves. The trade-off between tariffs and corporate tax cuts won’t be straightforward. The tax relief will be most substantial for companies with the largest share of earnings in the U.S.; the impact of duties will fall most heavily on internationally oriented businesses with global supply chains. To be sure, the rude health of the U.S. economy and companies in 2018 suggests business will be able to bear the brunt of the levies. 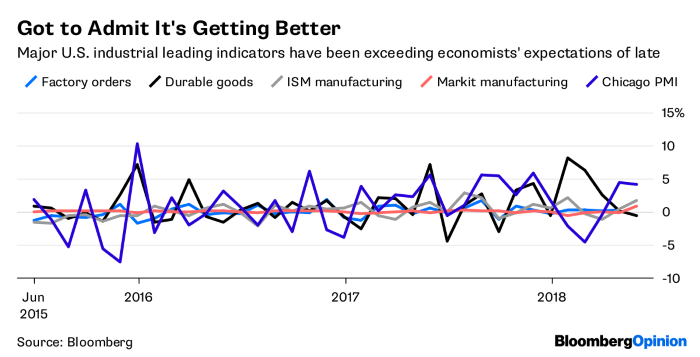 Leading industrial indicators have been repeatedly outperforming economists’ forecasts, and Bloomberg’s weekly consumer comfort index is closing in on some of the highest levels since the survey was started in 1985, indicating ample scope to pass on price rises. The current list, too, is a preliminary one, so it may be trimmed after input from industry. Still, the impact of raised costs tends to be seen more easily in the rear-view mirror than through the windshield. U.S. producer prices, due out later Wednesday, have been bouncing around the highest levels since 2011, and those costs tend eventually to get passed on to consumers. 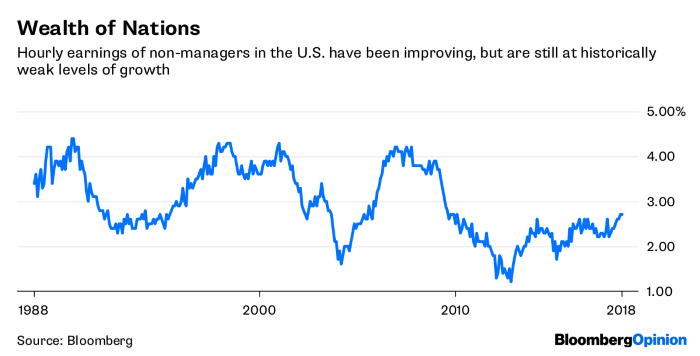 With oil prices increasing and interest rates heading north, that just adds to a picture of mounting cost pressure at a time when wage gains are still lackluster by historical standards. The booming global economy has given Washington the breathing space it needs to take its trade fight to the Chinese. That respite shouldn’t be taken for granted.